On Instagram at the moment there is a trending hashtag of #bestnine2016. There is a website where you can enter your user name (for public sites only) and they pick out the most popular posts (most likes, not based on comments at all) and makes a collage for you to post. 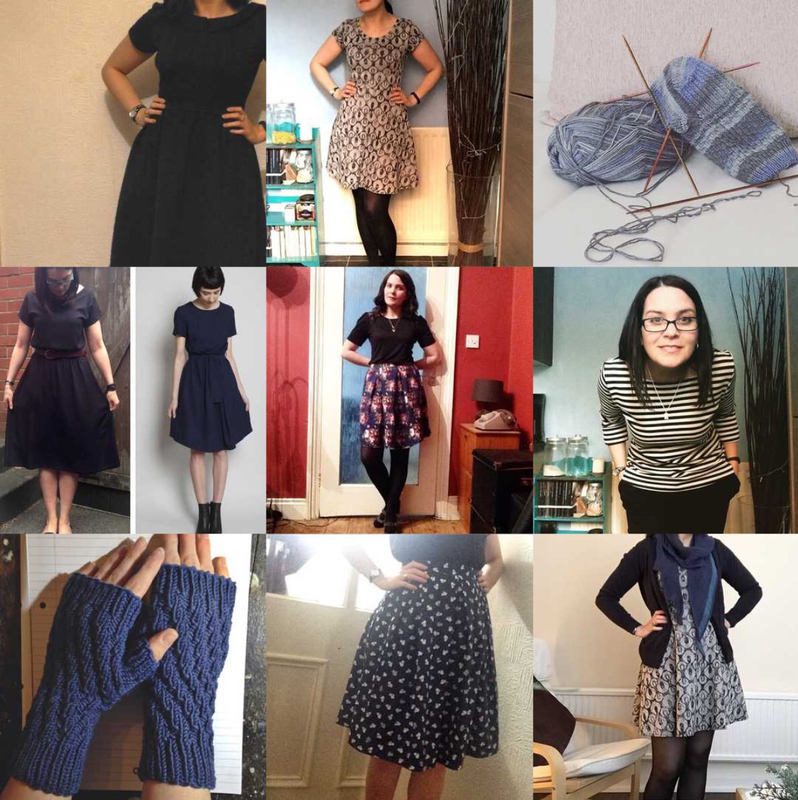 So from top left… my black Monetta which was made in 2015 but worn during me-made-may… Lady skater dress (another mmmay)… my Show Off Stranded Socks (still unfinished)… my black viscose dress I copied from a Pinterest picture (with the Pinterest version next to it)… a pleated skirt (another mmmay)… Coco top (mmmay)… the mittens I made for Mother’s Day… pleated squirrel skirt (mmmay)… and finally the same Lady Skater dress with my Brickless shawl (mmmay). So apparently people really appreciated my me made May effort, and just the same as last year, knitting doesn’t appear nearly as often as sewn stuff. But I guess I sew waaaaay more things each year. I know, I know… there’s only six. I couldn’t get my computer to collage nine, so the other three are on their way. So from top left again… my terry jersey Toaster Sweater (oh my how I love this jumper!! ), a very recent make but one that’s rarely been off my body… my Kangaroo Pocket skirt. Again I only talked about this recently, and it was such a great skirt!… the mighty Scout tee shirt. This one is my favourite, but I’m soooooo happy I bit the bullet and bought this pattern, it’s amazing…. Campside Cardigan, it took aaaaaaaages to make but it was soooooo worth it (I mean check out all the extended words in that sentence)… the bridesmaids dresses, yeah, they were obviously going to make the cut… Petty Harbour socks, I love the colour, I love the pattern, I love the fit, I just love them. 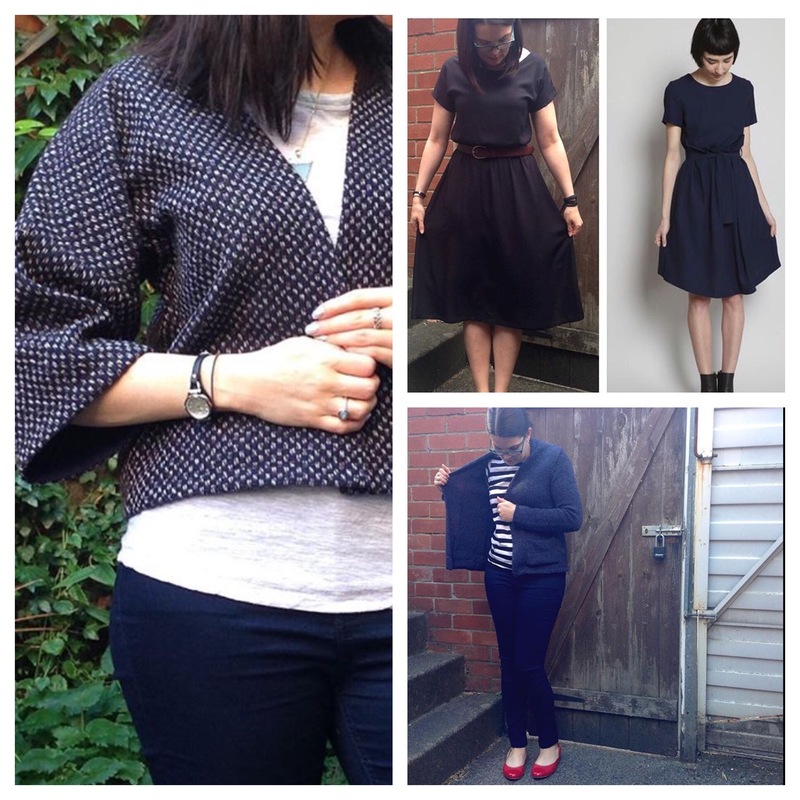 My woven kimono jacket thing, it was an experiment which turned out amazingly… the copied dress featured in the official ‘best nine’… and my replacement Bailey Cardigan, again, I’ve hardly had it off. Notably all of my best nine featured are from the latter half of the year, I guess I just had a good summer. I also upped my knitting game so I have much more pieces that I wear all the time. 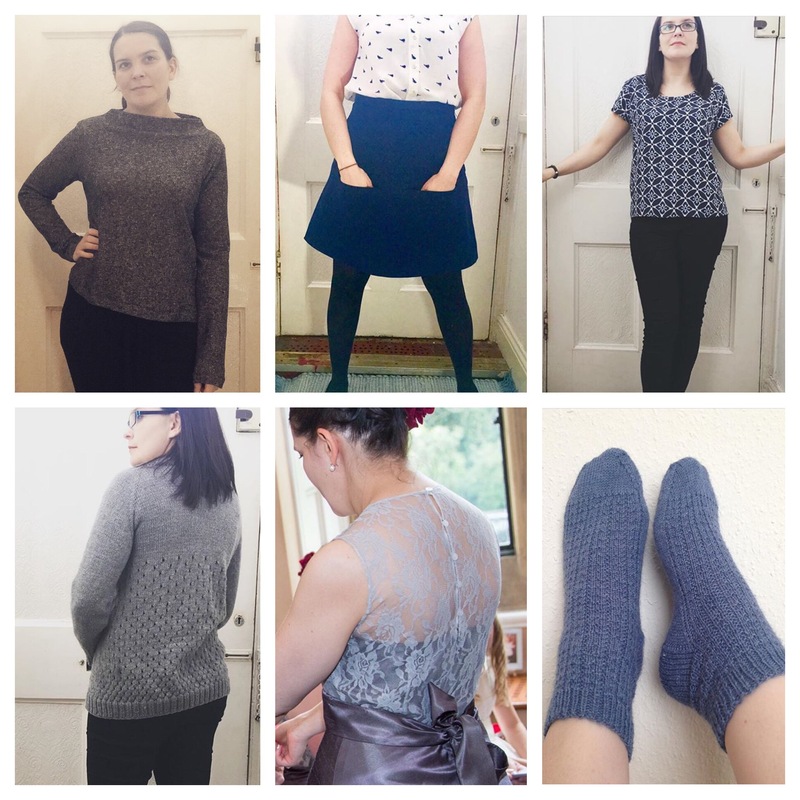 I know it’s not the traditional time of year where we sewing/knitting bloggers do a round up of the last year, not sure if I will this time round. But I thought the comparison of their best nine and my best nine was worth a chat. Previous Post Happy Christmas to me!